Legendary singer Roger Daltrey, from British rock band ‘The Who’ has confessed that decades of loud music has left him with a hearing loss. 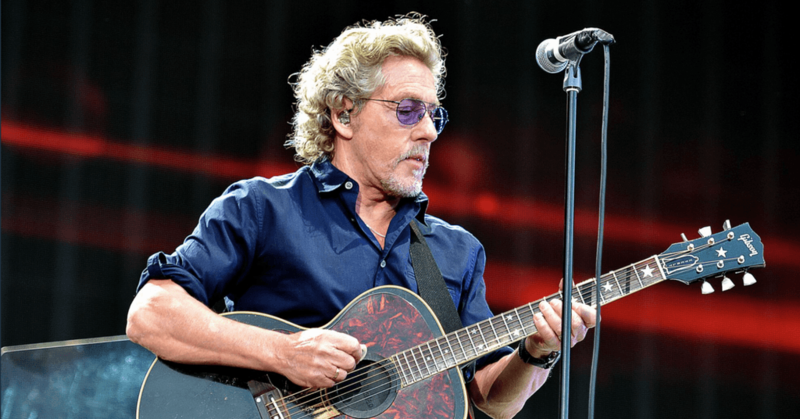 According to The Mirror, Daltrey spoke out to the crowd at a solo show at the Hard Rock Resort in Las Vegas on Tuesday night, first revealing his is deaf and then offering advice to his fans.“The trouble with these ear things that I wear is that I am very, very deaf,” Daltrey said. “And I advise you all – all you rock-and-roll fans – take your earplugs to the gigs. If only we had known when we were young … we are lip-reading.” The way Daltrey performs with his hearing loss now is much different than back in the day. When performing live, he uses a combination of in-ear monitors and lipreading to help follow the music. Despite his hearing loss, he vowed that he won’t stop performing and hopes to continue playing music for many years to come. “I am lucky to be doing what I do – so thank you,” the 74-year-old said. Daltrey isn’t the only member of The Who to admit to hearing loss. Co-founder Pete Townsend also has hearing problems of his own. “Pete deafened himself in the recording studio’ because of this, it affected the performance as ‘he had to stand next to the speakers to hear anything,” Daltrey told the Daily Mail in 2011. “I don’t know what Pete will do. I don’t want to do a tour and have him end up completely deaf.” Read more: Why musicians should be more aware of hearing loss Townsend wears hearing aids, although unlike Daltrey he links his hearing loss to listening to music through amplified headphones when he was younger, instead of loud concert music. When playing acoustic guitar, Townsend surrounded himself with plexiglass to shield himself from the deafening volume of his fellow bandmates. The two are among many famous musicians who have hearing loss, including Eric Clapton, Brian Johnson, Martin Kemp.